Bandhavgarh National Park is a travel destination in India which is simply unmissable. It is home to the highest density of tigers in the world, and you never know when your eyes meet those of a tiger. 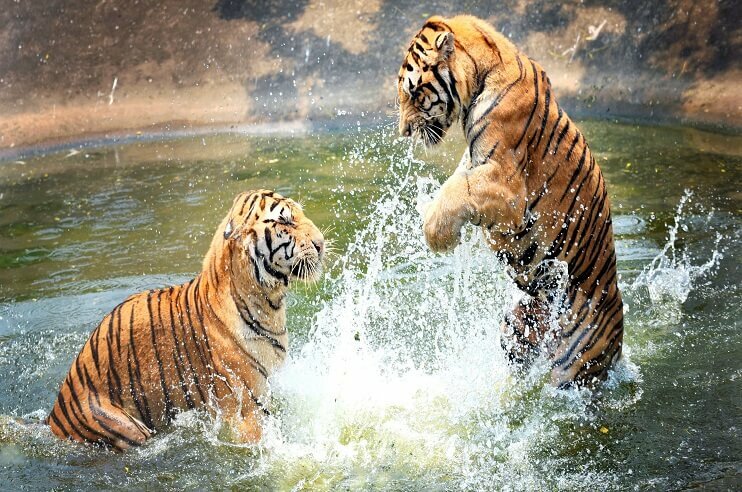 Located in the district of Umaria in Madhya Pradesh, it is the abode of the Royal Bengal Tigers, who command awe and reverence in equal measure. Steely gazed and unblinking, they are enough to send numerous chills down the spine. Inside Bandhavgarh, you also come across the Bandhavgarh Fort, whose origins and history is mired in ambiguity. The incredible variety of fauna inside the park is matched by its dramatic landscape, which often shifts between rocky and hilly. 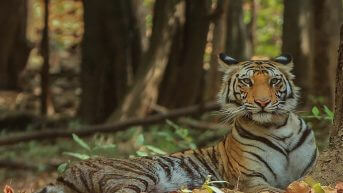 For a wildlife enthusiast Bandhavgarh is one of those places which brings before you nature’s many faces. Here, the tiger lurks behind the bush, patiently and stealthily! Then, as quickly as you might think, he pounces on his prey with an unbelievable ferocity, power in his arms and grace in his movements. This is Bandhavgarh, this is tiger country! Besides the tigers, there are around 37 species of mammals and 250 species of birds in the park. Some of the must see birds in Bandhavgarh are grey hornbill and red jungle fowl. Mammals such as the Nilgai and Gaur (Indian Bison) immediately have the visitors reaching for their cameras! Total Area: 437 sq. kms / 44,884 hectares/ 168 sq. miles Established: 1968 as a National Park. Extended in: 1986 Became A Tiger Reserve: In 1993 Distance from Panna Tiger Reserve: 190 Km Approx. The vegetation in Bandhavgarh National Park is mostly of the dry deciduous type. While the valleys are covered with Sal forests, the lower regions of the park consist of bamboo stretches. Some of the kinds of trees found in the park are Saj, Tendu, Amla, Palas, Dhok and Jamun. The fauna of the park is as amazing as its fauna. It is home to 37 species of mammals, 250 species of birds and 80 species of butterflies. Birds like red jungle fowl, grey hornbill and common teals are special attractions of the park. 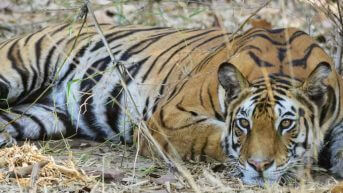 Bandhavgarh National Park is open for visitors from the months of October to June. You can visit the park anytime during these months, as each month has its own advantages. 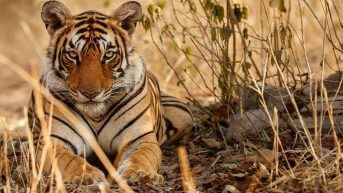 From mid-October to mid-February, safaris are conducted at Bandhavgarh National Park between 6:30 and 11:00 AM in the morning, and 2:30 and 5:30 PM in the afternoon. Safari timings are changed from mid-February to March. During these months, safaris are conducted from 6:00 to 11:00 AM in the morning, and 3:00 to 6:00 PM in the evening. From April to June, safari timings are again changed for the visitors. In the morning, safaris are conducted from 5:30 to 10:00 AM in the morning, and 4:00 to 7:00 PM in the evening. 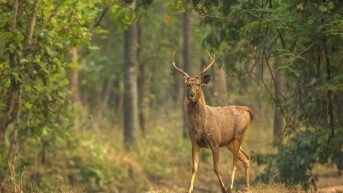 A Bandhavgarh wildlife safari tour promises to be one full of excitement and surprises. Book your wildlife safari holiday with us and enjoy a journey into the wild. Browse through our various wildlife holiday packages and get the best deals in terms of accommodation, transport and other facilities. 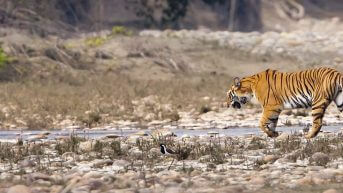 A trip to Bandhavgarh is best enjoyed with amazing wildlife tour packages that give you unlimited adventure. 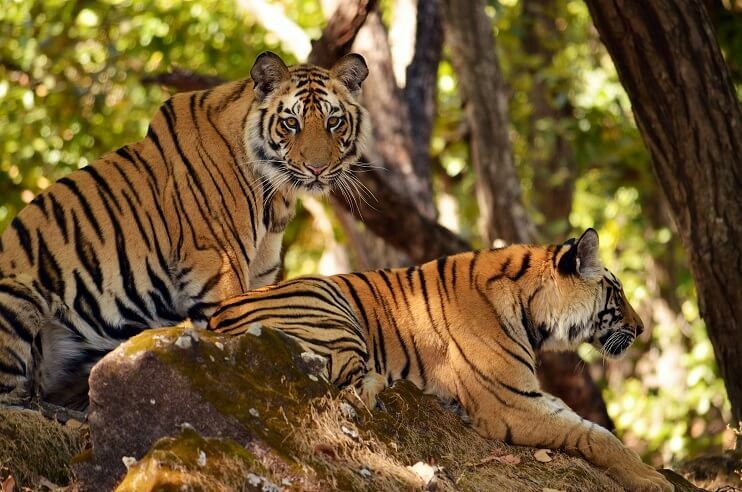 There are three core zones in Bandhavgarh National Park: Tala, Maghdi and Khitauli. While Tala is the main zone of the park, Maghdi is located in its peripheral areas and is the best place for spotting tigers. The third zone, Khitauli, is especially noted for its scenic beauty. Although it’s a great place for bird watching, tiger sightings are not uncommon . In 2015, Bandhavgarh also received three additional buffer zones: Manpur, Dhamokar and Pachpedi. Tiger sightings are common in all of these buffer zones. 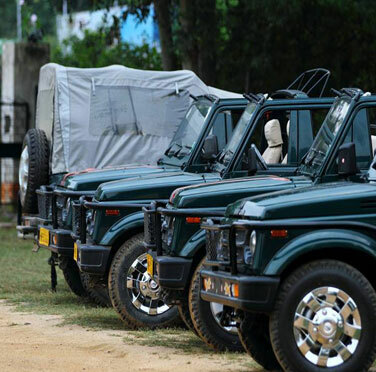 Jeep safaris are also conducted in them as per the safari timings. 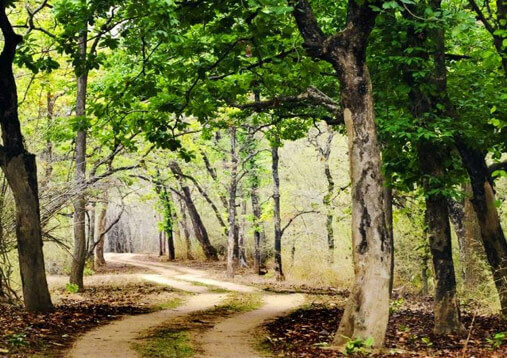 Bandhavgarh National Park is open to tourists from October to June. Naturally, you should plan a visit keeping in mind these timings. Visiting the park in a particular season/month, has its own advantages. If you are an avid photographer, then the summer season, which lasts from March to June, is the best time to visit Bandhavgarh National Park. 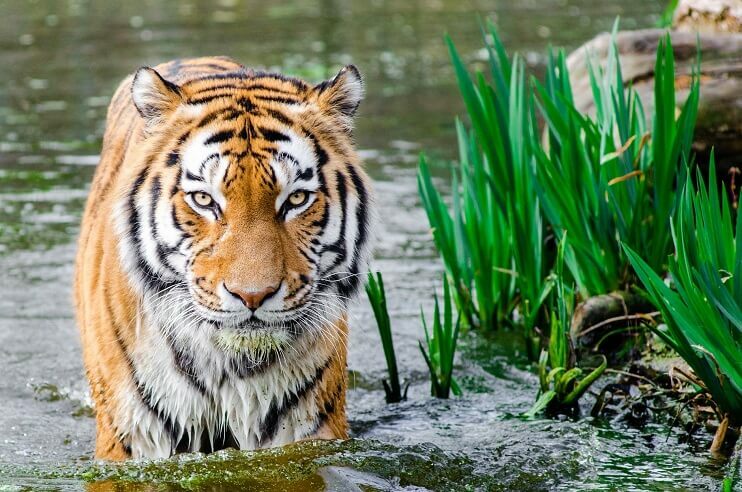 During this season, due to high temperatures, tigers and other animals visit the waterholes. Thus, the chances of spotting them are high. There are many advantages to visiting Bandhavgarh in winters. 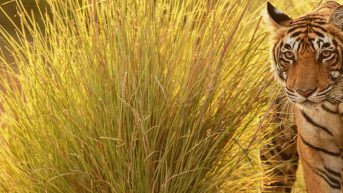 The weather, being cool and pleasant, offers numerous opportunities for wildlife spotting. Some of the animals, apart from tigers, which are commonly spotted during this time are sambar, spotted deer, sloth bear and blue bull. Bandhavgarh National Park is closed to visitors during monsoons, or the months from July to September. The nearest airhead from Bandhavgarh is Jabalpur Airport which is located at a distance of around 170 km. From the airport, one can hire a taxi to reach the destination.The nearest airports to Bandhavgarh National Park are Khajuraho Civil Aerodrome (217 km) and Jabalpur Airport (149 km). Buses, run by the state transport corporation as well as privately, are available to Bandhavgarh. 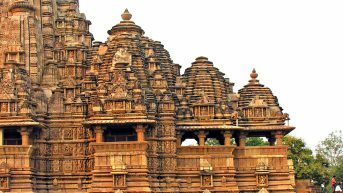 Taxis and private vehicles can also be hired from Katni (95 km), Jabalpur (165 km), Umaria (22 km) and Khajuraho (226 km). The nearest railway stations to Bandhavgarh National Park are Umaria Railway Station (37 km), Katni Junction (100 km), Jabalpur Junction (190 km) and Khajuraho Railway Station (250 km).